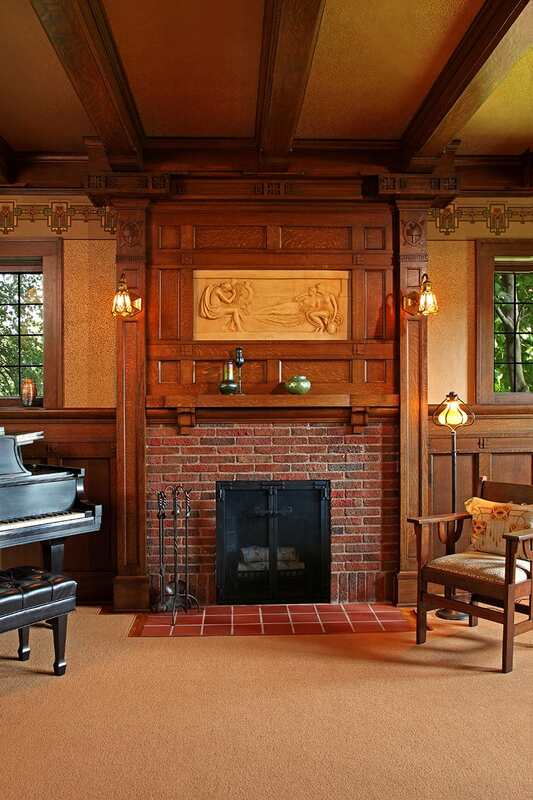 This 1912 Arts & Crafts-Tudor Revival house designed by Victor Ingemann is known for its intricate brickwork. 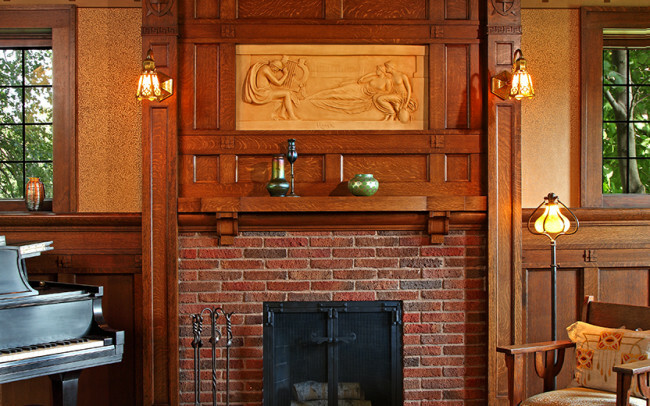 Unfortunately, the fireplace had been modernized with the application of sheetrock and a slab marble surround between the two original pilasters. 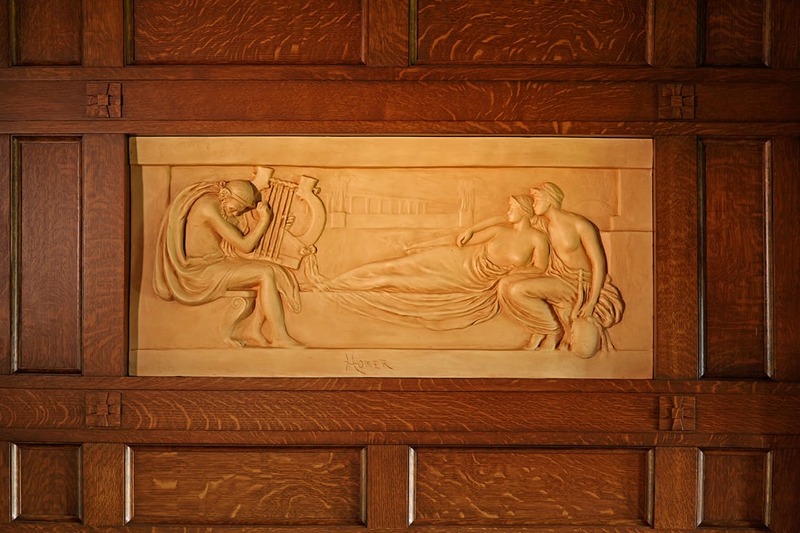 We thought something special might be hiding behind the sheetrock and marble. Investigative demolition revealed a classical plaster panel labeled ‘Homer’ beneath the sheetrock and, behind the marble, the original brick. 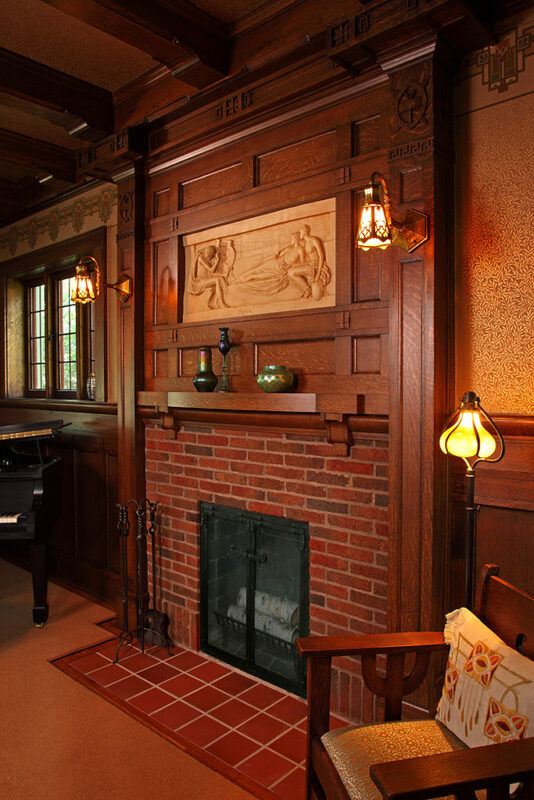 This fireplace rehabilitation project reused as much original material as possible. The the damaged brick was turned around to expose the original finish. 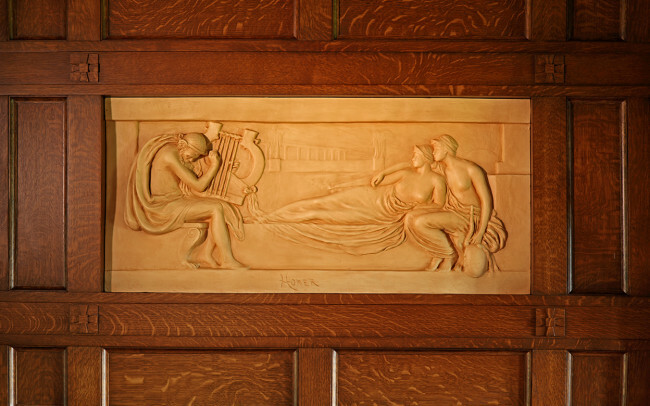 Using an image found in an historic catalog offering the piece for $5.00 in 1914, a fabricator reworked the damaged face of the plaster relief panel with acrylic, infilling what was missing. 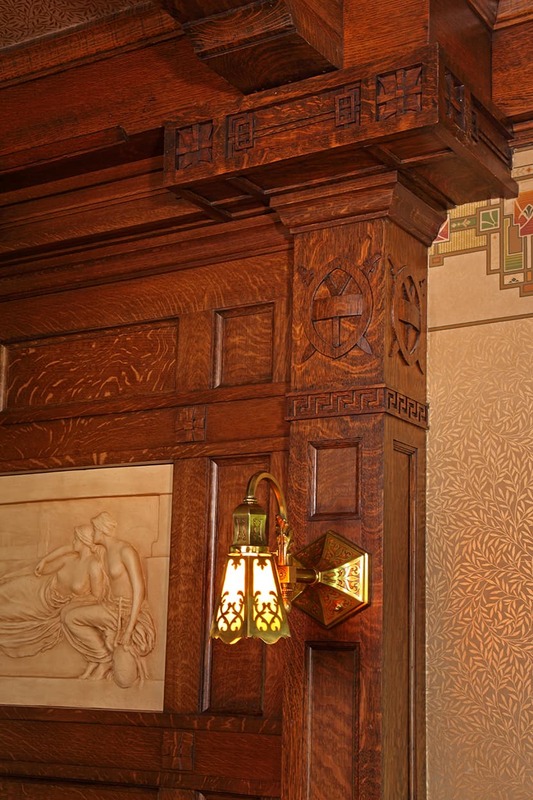 Historic lighting was sourced, restored, and installed. 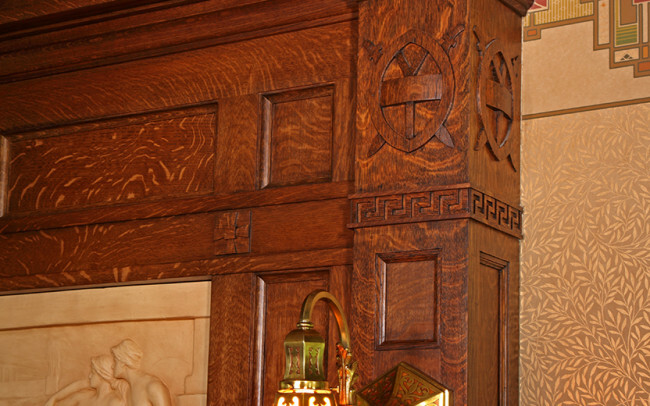 Using details found throughout the room, we designed a new white oak over-mantle to frame the restored frieze so once again the fireplace becomes the centerpiece of this home.